Scientist creates a real Thor hammer! Only he can lift it! Check out this amazing real life Mjolnir! 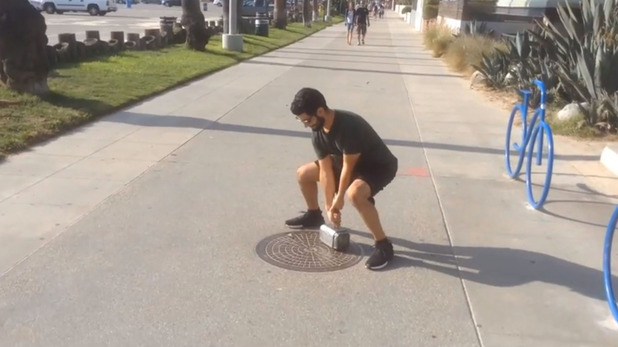 YouTuber and scientist Allen Pan has created his own version of the hammer Thor from the Avengers uses! Only he can lift this hammer as you can see in the video below. Sadly Allen isn’t a real life super hero but he does know how to use fingerprint scanners and magnets to create this awesome hammer!